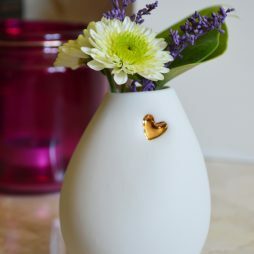 Specialising in ceramics with a particular focus on mould making and slip-casting, Sejal crafts decorative and functional pieces, perfectly suited for the home and office. Sejal Graduated in July 2014 from the applied arts course, Design Crafts, at De Montfort University, Leicester. Sejal fell into ceramics by chance. After missing her college enrolment, the only enrichment course which wasn’t filled was ceramics, she went to her first class and was hooked. 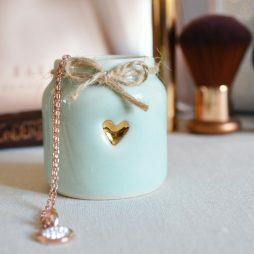 The rest was history and she started up her small business in October 2015 from her home studio in Leicestershire. 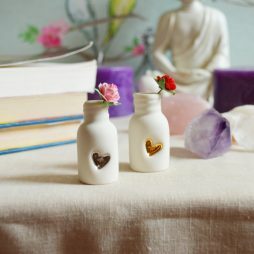 Each piece is individually made in Sejal’s studio where she hand crafts simple porcelain pieces each with an embossed heart. Every piece is made with love and care as it goes through it’s various stages before it leaves the studio. The simple forms and finish allow them to be placed in any setting. 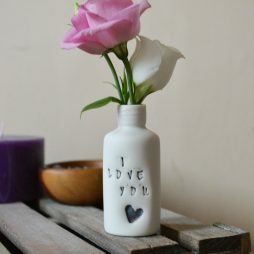 From the cutest mini bottles to vases, they make the sweetest gifts, perfect for valentines, birthdays, weddings and housewarmings.